a hotly anticipated new batman movie just came out, and everyone is still going on over whether or not anne hathaway was the right casting choice to revisit the role of catwoman. it happens any time a film touches a cult character, especially one that has spanned many decades and mediums… personally, i have yet to see the latest incarnation of catwoman in this film so i can’t judge. in the meantime, however, many people have taken advantage of this batman pop culture moment to reflect on the various women who have been catwomen over the years, such as julie newmar. 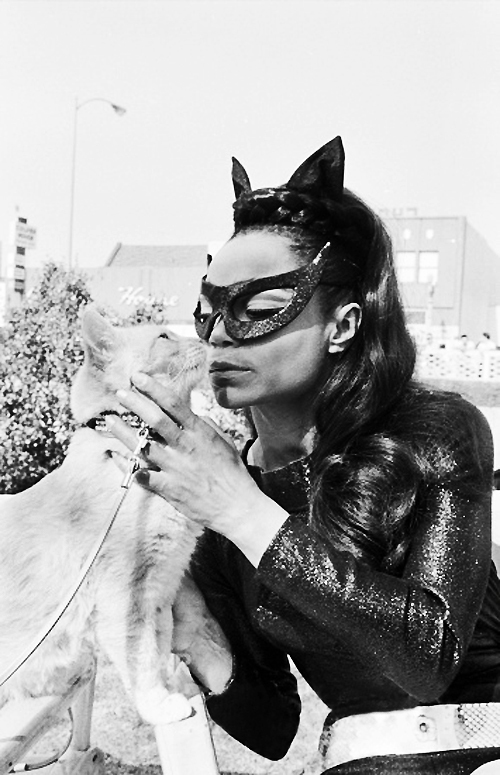 another one of the very first actresses to be cast as catwoman is the inimmitable eartha kitt. while she only took on the role for three episodes during the batman television series, her performance captivated audiences and remains iconic to this day. 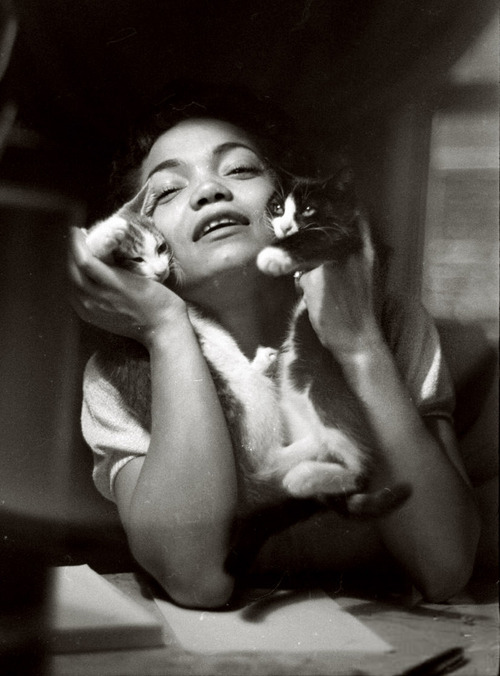 every once in a while, i see a fantastic photo of eartha kitt pop up on tumblr. lately, it’s been a become more of a steady stream… here are just a few of my favourites that really showcase her style in the 1950s and 60s. i hate to be the kind of person who only posts photos of when an actress when she was young, but what can i say, i’m a sucker for 1950s fashion! 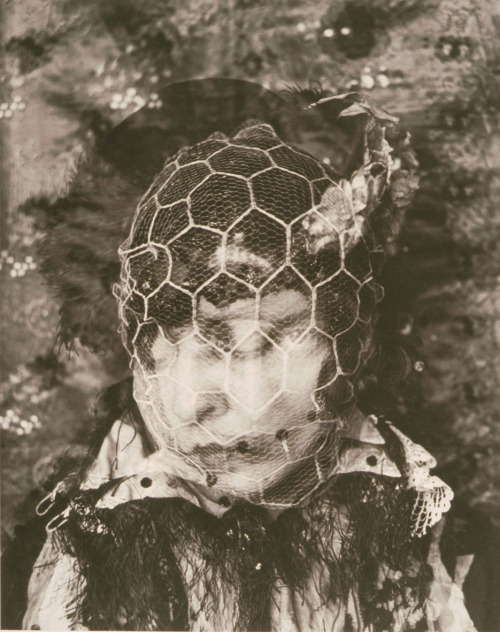 there are some great ones from later eras you can find yourself, but i simply had to share my favourites. 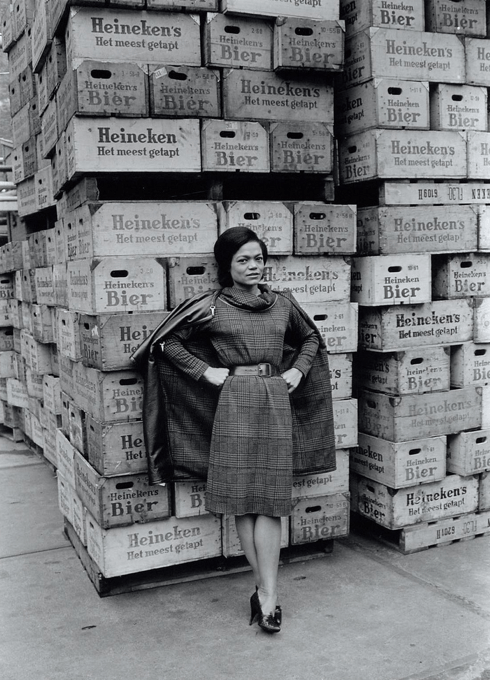 Eartha Kitt, Amsterdam, Netherlands, c. 1962. by Ben van Meerendonk. 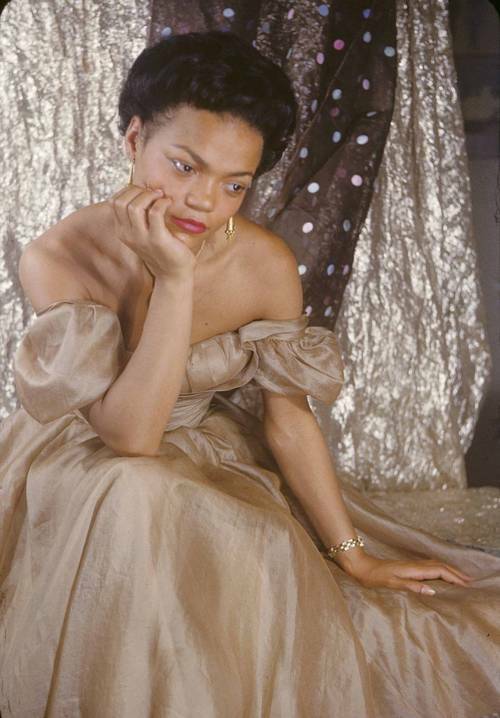 this entire photoshoot of her by the incredible photographer gordon parks is unbelievably charming! 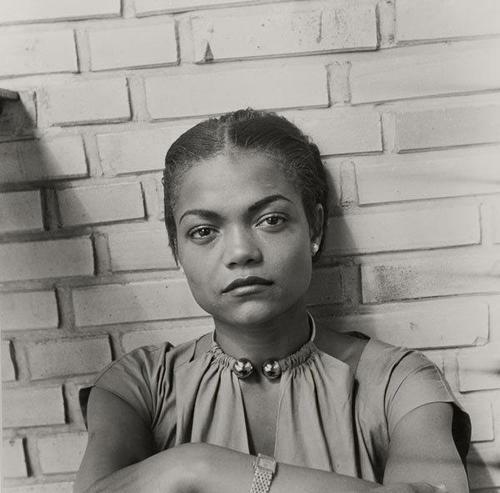 Eartha Kitt in Hamburg, 1950. 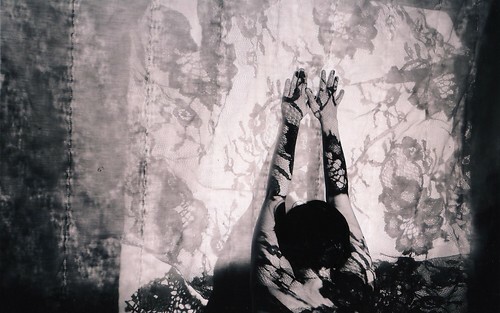 Photo by Susanne Schapowalow. 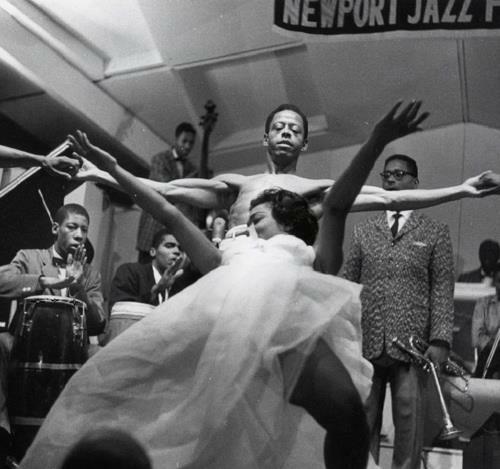 but you know hear at à l’allure garconnière, i’m not about style over substance – eartha kitt had both in spades. 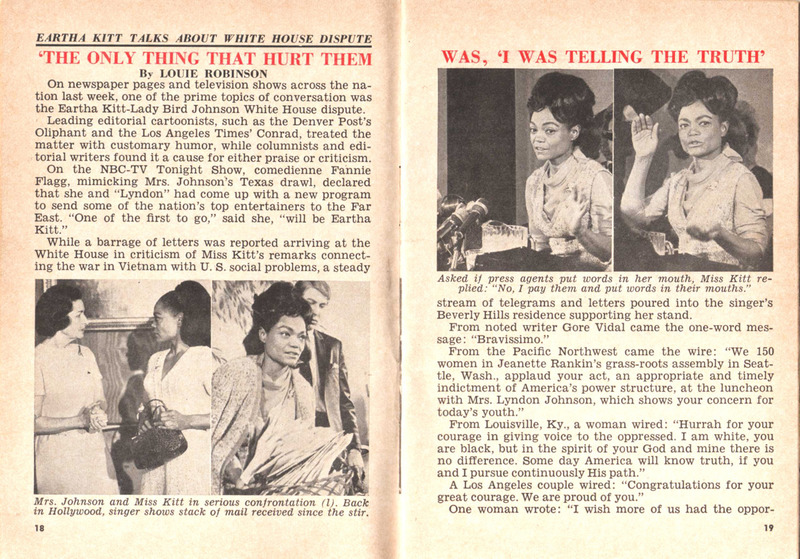 while i admire what eartha kitt wore, her words and acts speak volumes. she was a fiercely independent strong woman who spoke out against injustice. keep in mind she was all of these things at a time when being an outspoken black woman didn’t help already quite limited career opportunities. Her remarks reportedly caused Mrs. Johnson to burst into tears and led to a derailment in Kitt’s career. The public reaction to Kitt’s statements was extreme, both pro and con. She became publicly ostracized in the US. she was also one of the earliest public figures to speak out against apartheid in South Africa. in researching her life online, i’ve also learned she faced discrimination for being light-skinned and mixed-race. her mother was african-american and cherokee, and her father was white. 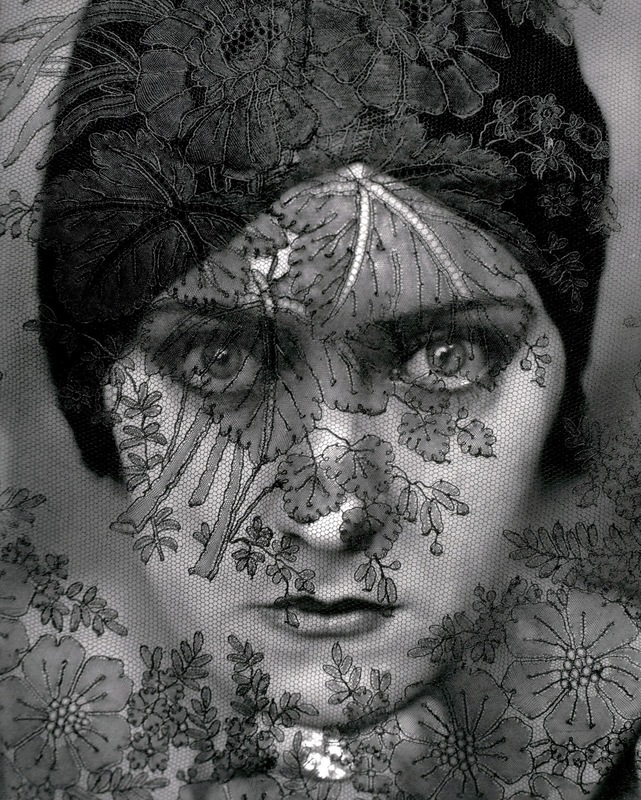 there is also a great biography of her over at classic vintage with a twist if you’re interested in finding out more. i hope you learned something new about an amazing woman!